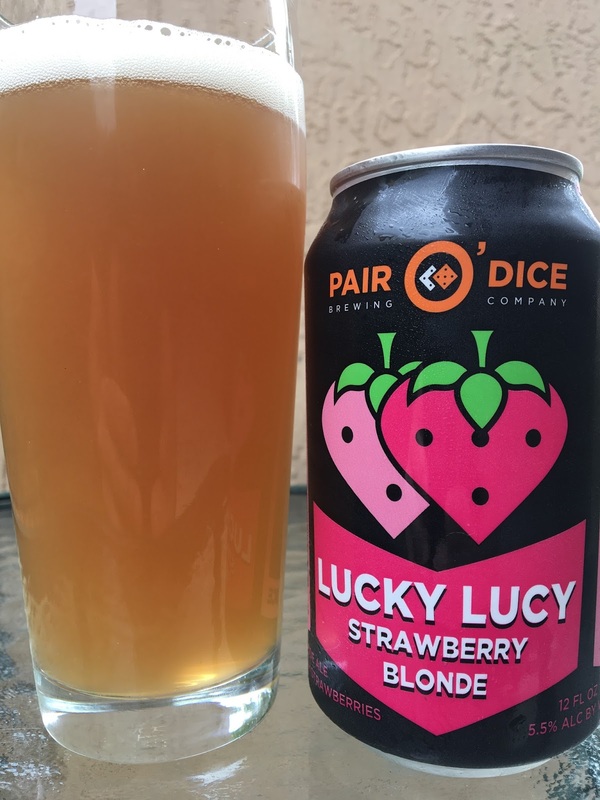 Pair O' Dice's Lucky Lucy Strawberry Blonde recently hit the shelves of my Miami liquor store. 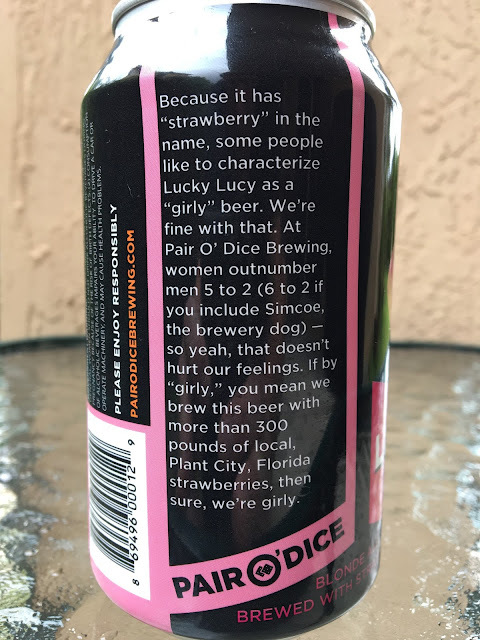 The brewery is OK with you calling this a "girly" beer but then clarifies why that is the case on the can's label. 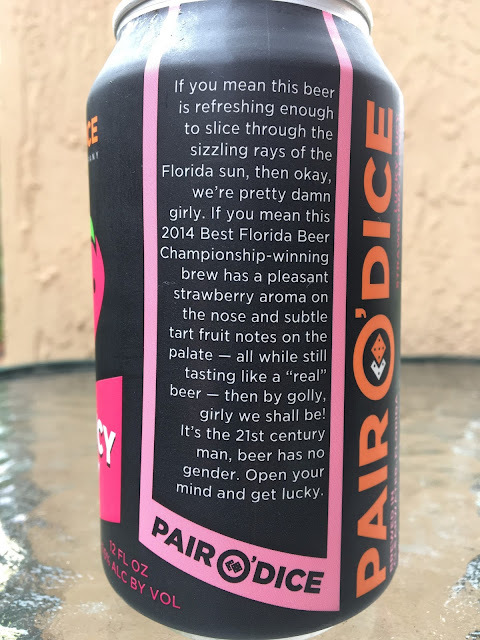 This is an award-winning beer! 5.5% alcohol. Kind of cloudy with a faint red hue. Nice pleasant aroma, soft strawberry. Terrific strawberry flavors show immediately, a little tangy and tart, not overdone. Some malty sweet balance comes next. Some light bitterness and more strawberry take you into the finish and beyond. Super flavorful, loved it!